The right to enrich uranium is recognized for all nations in the world and thus there is no need to secure permission from an informal group such as the so-called P5+1, which has no legal basis and no authority on any issue. Right now, 34 countries have uranium enrichment programs of various dimensions without the endorsement of the P5+1 posse that Obama assembled. "As the sanctions have not been lifted, all other matters are worthless." – Iran's "Supreme Guide," Ayatollah Ali Khamenei. Until last week I thought that at the time President Obama was selling the American establishment a bill of goods on his cute "Iran nuclear deal", in Tehran President Hassan Rouhani was telling the truth, at least to his boss Ayatollah Ali Khamenei. After all, Rouhani has a doctorate in Islamic Theology from Glasgow Caledonian University in Scotland and, as a good Muslim, wouldn't tell anything but the truth. Obama was telling the Americans that his "historic deal" had blocked all avenues for Iran to develop a nuclear arsenal forever without firing a shot. He even cited a fatwa by the Islamic Republic's "Supreme Guide", Ayatollah Ali Khamenei, forbidding all nuclear weapons. The fact that no one apart Obama himself claimed to have seen the fatwa was neither here nor there. After all, a US president wouldn't tell a fib on so important a matter. So you can imagine my disappointment when I found out that Obama hadn't been alone in deceiving his side of the bizarre show and that Rouhani, too, had been economic with the truth to the point of leading Khamenei up the garden path. By all accounts, Khamenei was angry enough to expose Rouhani as a turbaned version of Pinocchio in public. Having summoned 220 top civilian and military officials to review the consequences of the virtual collapse of the so-called "nuclear deal", Khamenei demanded that Rouhani provide report on how things stand now. In 2015, Rouhani had described the "nuclear deal" as "the greatest diplomatic victory in the history of Islam." Last week, in his report to Khamenei, he was as boastful but even less truthful. "In the latest event, meaning its leaving of a multilateral international accord, America has suffered a new political, legal and moral defeat," the Glasgow theologian boasted. "As a result, the Islamic Republic of Iran has scored yet another political, legal and moral victory." 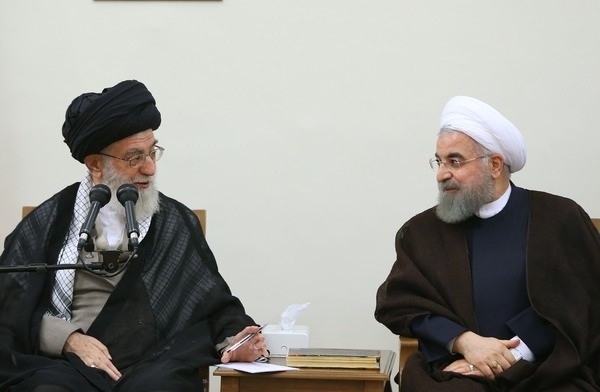 Rouhani's boast was so brazen that Khamenei decided to break his silence even if that meant pointing the finger at his president for being economical with the truth. "But did we enter those negotiations to unmask the Americans?" Khamenei demanded. "Was that our negotiating aim? Or did we enter negotiations, as told at the time, to have sanctions lifted? As you see, sanctions haven't been lifted and they are now threatening to restore the few sanctions that had been suspended." According to accounts of the stormy meeting, part of which were presented in official media in Tehran, Rouhani manifested a degree of chutzpah that even mullahs might admire. He claimed that there was little to worry about because "all countries in the world apart from a few tiny or illegitimate ones, and especially the European nations have sided with Iran." Khamenei, however, wouldn't be led up the garden path, even if that meant pointing the finger at his president as a consummate storyteller. "We don't want to pick a quarrel with the Europeans," Khamenei said. "But we must know the truth that the three European nations, Britain, Germany and France, will always follow America on all sensitive issues. You remember the ugly gesture of the French foreign minister who said the Europeans were playing good cop to the American bad cop. These people say something and when it comes to action do something else." The short clips shown of the encounter indicate no reduction in Rouhani's chutzpah. Looking for any old fig-leaf, he promises to "divide the Europeans from the Americans so that the US ends up as loser". However, that boast didn't wash either, as a smirk appearing around the ayatollah's beard spread to 220 other beards across the conference hall. "Did we enter the deal to cause trouble between the Americans and the Europeans?" Khamenei demanded. "Or did we go along to achieve an end to sanctions as promised? As the sanctions have not been lifted, all other matters are worthless." Rouhani's biggest fib came when he claimed that the Obama "deal" had helped Iran achieve the right to enrich uranium, albeit at the lowest degree. Khamenei made a lame comment claiming that Iran's progress in nuclear research had made that inevitable. On that, both Rouhani and Khamenei are wrong, albeit for different reasons. The right to enrich uranium is recognized for all nations in the world, and thus there is no need to secure permission from an informal group such as the so-called P5+1, which has no legal basis and no authority on any issue. Right now, 34 countries have uranium enrichment programs of various dimensions without the endorsement of the P5+1 posse that Obama assembled. Thus, asking a group of powers operating outside international law to "recognize" a nation's already universally recognized right is the lowest depth of humiliation. Rouhani's fibs remind me of an episode in 1919, when the British tried to impose a light version of their imperial tutelage on Iran through a treaty which began by declaring that the United Kingdom recognized Iran's independence. The same British had prevented Iran from obtaining a seat at the Versailles Conference at the end of the First World War. An Iranian delegation, headed by the incomparable scholar Muhammad-Ali Forughi, had to hang around Versailles for months in the forlorn hope of getting a say. Forughi and his team ran out of money and the government in Tehran, being bankrupt, couldn't help. Some Tehran bazaaris agreed to pay the bills. In Versailles, the British argued that Iran lacked enough authority as an independent nation to take part. In the treaty they proposed, they said they honored Iran's independence. The proposed British treaty of 1919 was instantly opposed by the Iranian Majlis (parliament) and one of the best speeches made against it came from Hassan Mudarress, a cleric who later opposed Reza Khan's plan for turning Iran into a republic. "Iran has been around and independent for centuries," he said. " Why do we need the British or anyone else to recognize a right that we have always had?" The argument was that if you get your right from someone, that someone could also make it away from you. That kind of lesson, of course, isn't taught at Glasgow Caledonian University. Excellent article. All signs point to a breakup between different power seats in Iran, and eventually the fall of the regime. That's why I'd like to announce my special offer of providing valuable services to Islamic Republic's government officials: I am an expert in finding comfortable homes that are tucked away in safe, secure and secluded locations in Sudan, Ethiopia and other African nations. 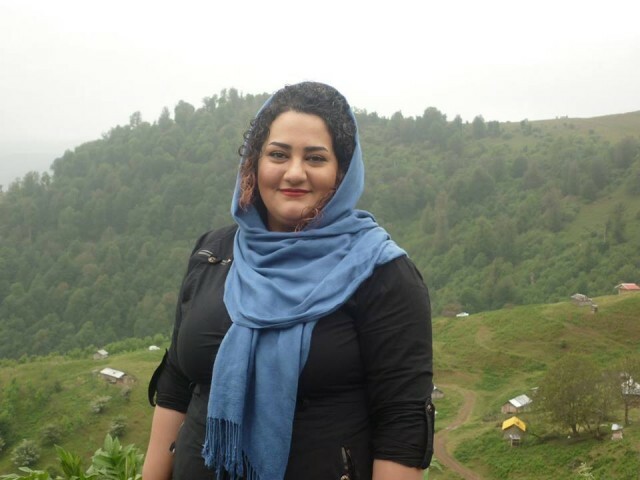 I could offer Islamic Republic's officials a reliable safe-haven where you could have a simple and modest life, but with complete safety and security. The alternatives of not taking immediate action are terrifying: You could be hung by angry Iranian mobs when the Islamic regime falls (in about six to twelve months, guaranteed). You could become the target of worldwide international bounty-hunt by the vengeful officials of the new replacement regime. You could become target of assassination, and so on. The horrifying list for your fate is endless. You'd better act NOW and FAST to guarantee a safe future for yourself and your family in a secure anonymous location in the African continent. I can help you with your new future and identity, and my services are GUARANTEED. Reserve the best available spaces now while they last. Contact me at AfroJavaad at yahoo. In the Subject line, please write: "RE: Safe Home in Africa". Learn from history and act NOW.